On December 18, after months of research, visiting successful programs around the nation, and receiving testimony from experts and concerned citizens, the Federal Commission on School Safety released a 177-page final report detailing 93 best practices and policy recommendations for improving safety at schools across the country. Utilizing the information gathered, the report offers a holistic approach to improving school safety, ranging from supporting the social and emotional well-being of students to enhancing physical building security. Acknowledging there can be no one-size-fits-all solution to this complex issue, the report serves as a resource guide for families, educators, law enforcement, health professionals, and elected officials to use as they consider the best ways to help prevent, mitigate, and recover from acts of violence in schools. The recommendations are based on efforts that are already working in states and local communities. The Commission report has 19 chapters divided into three sections -- Prevent, Protect and Mitigate, and Respond and Recover -- based on well-established phases of security planning, with recommendations for the federal government and states and local communities in each chapter (press release and fact sheet). 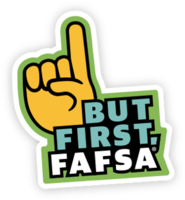 The Department’s Office of Federal Student Aid (FSA) announced a single, standardized date -- October 31 annually -- for TEACH Grant recipients to certify they are meeting their service requirement. It also announced that a process for teachers to request reconsideration of TEACH Grants converted to Direct Loans will be available no later than January 31, 2019. This effort could cancel the student loan debt of thousands of teachers. FSA is not directly impacted by the current lapse in appropriations and the resulting partial government shutdown. Some of FSA’s systems and processes depend on information from -- and actions taken by -- other federal agencies, a number of which are currently closed. FSA is evaluating what impact these closures may have on the office, including the impact on database matches conducted by the Central Processing System, and is working to limit the impact on its partners. FSA will issue guidance, as needed, as soon as possible (updates: here and here). In the meantime, offices are open, and all of FSA’s processors, contract centers, and web sites remain operational. Over 100 stakeholders gathered at the Department on December 14, to collaborate on ways to rethink career and technical education (CTE). The Rethink CTE Summit expanded on Secretary DeVos’ Rethink Education initiative and served as an implementation launch of the Strengthening Career and Technical Education for the 21st Century Act, commonly known as Perkins V. The Secretary and Assistant Secretary for Career and Technical Education Scott Stump encouraged those in attendance to take advantage of the new law and collaborate with state and local education agencies on ways to rethink CTE through the development of each state’s Perkins V plan. To learn more about the summit, see the press release and blog post. Also, the event web page includes biographies of speakers and panelists, a full participant list, and a number of presentations and handouts. In a meeting last month with college presidents and association officials at the American Council of Education, during which she shared her vision for higher education, Secretary DeVos also released two white papers describing the Administration’s priorities on rethinking higher education generally and on accreditation reform specifically. The former features principles for reform under three categories: empowering students, empowering institutions, and empowering innovators. The latter features nine proposals -- some of which can be accomplished administratively, others of which will require statutory or regulatory changes. On December 4, President Trump released a plan to strengthen science, technology, engineering, and mathematics (STEM) education. The five-year strategic plan seeks to ensure that all Americans have access to quality STEM education and safeguard America’s place as a global leader in innovation and employment. The Administration’s goals include building a strong foundation of STEM literacy, increasing diversity in STEM careers, and preparing the STEM workforce of the future. To achieve the goals, the plan lays out key pathways: developing and enriching strategic STEM partnerships, engaging students where disciplines converge, and advancing computational thinking as a critical skill for America’s workforce. The plan was collaboratively developed by the National Science and Technology Council Committee on STEM Education and the White House Office of Science and Technology Policy (fact sheet and blog post). Several federal reports and resources on English Learner (EL) education related to science, technology, engineering, and mathematics (STEM) have recently been released. First, the Department’s Office of English Language Acquisition (OELA) released its third data story about ELs in U.S. schools. This story, which builds upon two previously released stories about the characteristics and educational experiences of ELs, focuses on EL’s performance on the National Assessment of Educational Progress (NAEP) and high school graduation rates, showing some progress but also persistent challenges. Second, the National Academies of Sciences, Engineering, and Medicine released “English Leaners in STEM Subjects: Transforming Classrooms, Schools, and Lives.” This report examines what is known about EL’s learning, teaching, and assessment in STEM fields and provides guidance on how to improve STEM outcomes for these students. Third, highlighted in an earlier issue, the Department’s Office of Educational Technology (OET) developed two new toolkits: for educators and for educational technology developers. Each toolkit is organized around five guiding principles to help the targeted group approach educational technology with EL’s needs in mind. The Consumer Financial Protection Bureau recently released its updated Spanish Glossary of Financial Terms, which includes more than 1,500 translated terms from English to Spanish. This free resource was created to promote consistent and effective translation of financial information and compiles translated terms used by financial organizations and government agencies into one glossary. Feel free to use our Spanish Glossary of Financial Terms as a reference when translating financial documents for the Spanish-speaking individuals you serve. Providing financial materials in Spanish can help these consumers better understand their options when making money choices. Uniform translation of common financial terms may help consumers with limited English proficiency (LEP) feel empowered to take control of their financial lives. If you find this tool helpful, please share with other individuals and organizations that provide financial information and services to the Spanish-speaking community. Calling teacher leaders! Do you have an idea to address a perceived need in your school, district, or state? 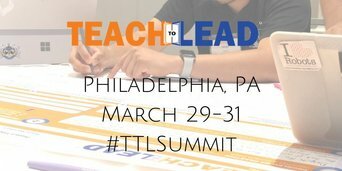 The Teach to Lead team is accepting idea submissions through February 4 for its 17th Teacher Leadership Summit, March 29-31 in Philadelphia, where teams will receive critical support to turn their ideas in action. 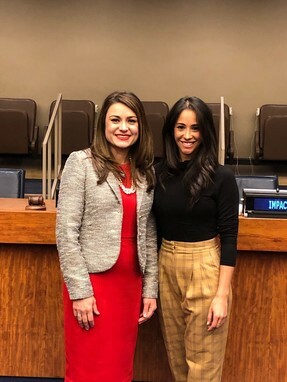 On December 12, Executive Director Aimee Viana participated in an education fireside chat at the Latino Impact Summit at the United Nations building in New York, NY. The summit brought stakeholders from across the Americas to share best practices and discuss solutions in areas of health, equality, and education. Aimee Viana shared about rethinking education in the latest issue of Latina Style magazine. It’s a new year, and start 2019 by making a resolution to get students the money they need for college. For more information about Federal Student Aid and access to the FAFSA® form, click here. On December 21, President Trump signed the Juvenile Justice Reform Act and the First Step Act. More than one million children are currently involved in the juvenile justice system, and many more youth are at risk of entering the system because of difficult circumstances, such as poverty, broken families, and homelessness. The application period is now open for the 2018 President’s Environmental Youth Award Program. This program recognizes outstanding environmental stewardship projects by K-12 students, promoting awareness of the nation’s natural resources and encouraging positive community involvement. Winners of this year’s awards will be invited to a ceremony in Washington, D.C., and have their project highlighted on the Environmental Protection Agency (EPA) web site. EPA will select up to two winners in each of its 10 regions -- one winner for grades K-5, and one winner for grades 6-12. Applications are due by February 1. On December 31, the President signed into law the Innovations in Mentoring, Training, and Apprenticeships Act, directing the National Science Foundation (NSF) to provide grants for research about science, technology, engineering, and math (STEM) education and the STEM-related workforce. The Institute for Museum and Library Services (IMLS) recently announced a new grant opportunity for small and rural libraries. Applications are due February 25. This new funding opportunity is designed specifically to strengthen the ability of small and rural libraries, archives, and related organizations to serve their communities, and awards sizes range from $10,000 to $50,000. For more information and how to apply, please don't hesitate to reach out to IMLS staff, whose contact information is listed on the program page. Applications are now being accepted for Summer 2019 interns. If you are interested in learning more about Hispanic and education policy, please apply. For more information and to apply, click here. The deadline is March 15, 2019. In addition, the U.S. Department of Education is accepting Summer 2019 summer applications. Learn here more about requirements and how to apply. Educational Testing Service has been a major service provider to the National Assessment of Educational Progress program. They are seeking applications for their Summer Predoctoral Research Experience Internship and Summer Undergraduate Research Experience Internship. For more information, contact NAEPInternships@ETS.org. Comments/Questions? Please send an email [Subject: "Nuestra Iniciativa"] to Initiative Senior Advisor Emmanuel Caudillo at emmanuel.caudillo@ed.gov. Nuestra Iniciativa contains links to other websites and news articles. These links represent just a few examples of the numerous reference materials currently available to the public. The opinions expressed in any articles or web pages do not necessarily reflect the positions or policies of the U.S. Department of Education or the White House Initiative on Educational Excellence for Hispanics. The inclusion of resources should not be construed or interpreted as an endorsement by the U.S. Department of Education or the White House Initiative on Education Excellence for Hispanics of any private organization or business listed herein.